In addition to this, it was also his honeymoon! 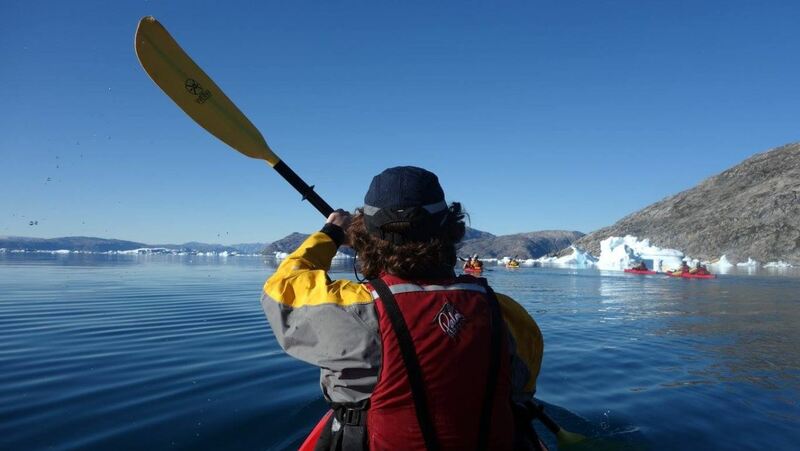 So Simon and his wife had an incredible time honeymooning and kayaking around the whales and Icebergs, and we helped them get there! 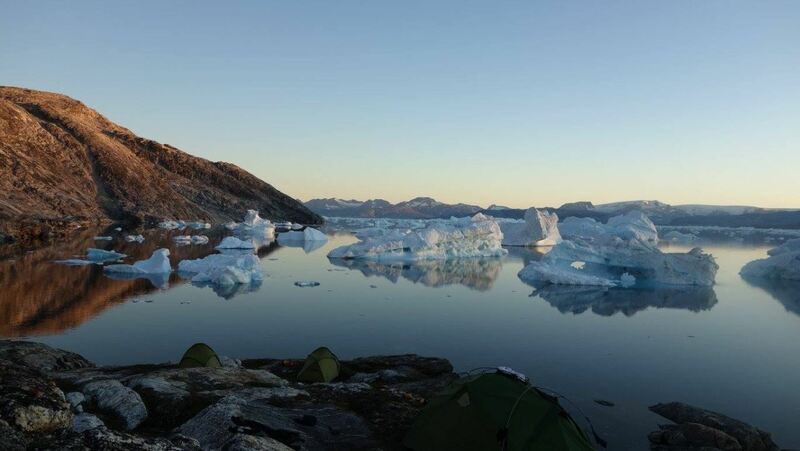 I went to Greenland out of a desire to explore somewhere new, but more strongly to get a sense of the wilderness of the Arctic combined with a native population, who are maybe more in touch with their roots than elsewhere. Also to understand the connection between man and environment, and what that’s about. 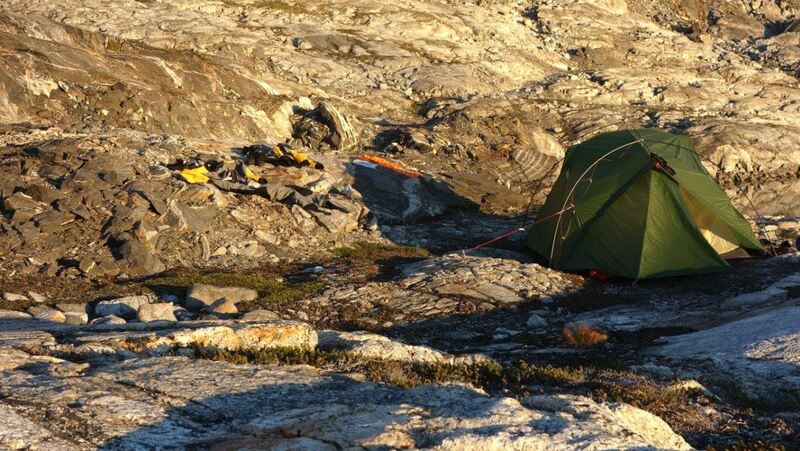 We wanted to see what life looks like in the Arctic, and what nature looks like up there. 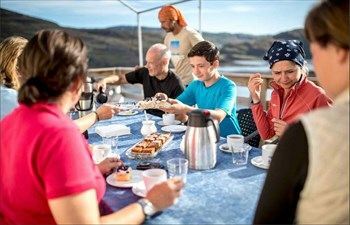 It was a big Arctic trip, where we spent a while between Greenland, Iceland and Svalbard: although we only spent 10 days in Greenland, and we were out for about a month overall. 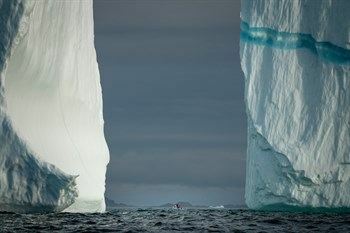 We Kayaking amongst the whales and icebergs. We chose it for the length, the fact that you really out there, and importantly that we were completely a journey, not based in a town and doing day tours. Being self-sufficient for 10 days was awesome too, and the pure pleasure of kayaking, of being so close to the water. The pure pleasure of kayaking when you have whales around in the water and whales not far away. Even when you are paddling, it’s quite stealthy: on a sailboat for example, there’s a lot of noise: form the sails and the wind and the crashing waves. When you’re kayaking, you’re just gliding in the water. Compared to any other sport, its just very connected. The feeling of being surrounded by openers, by emptiness. 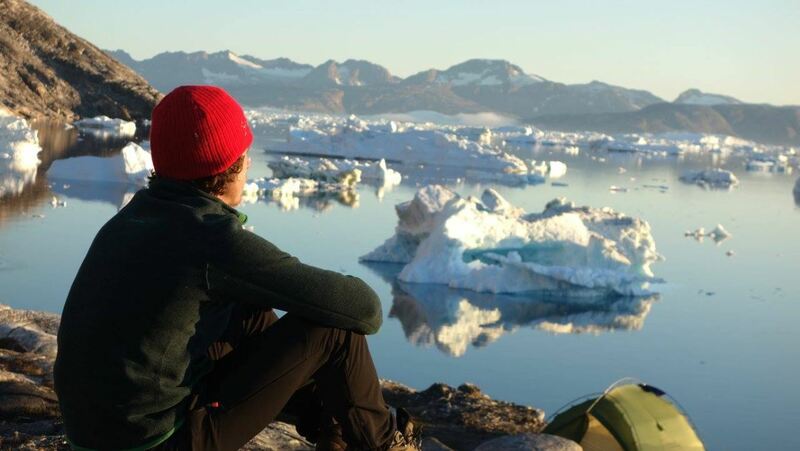 In Greenland, you feel peace, and it’s very beautiful. 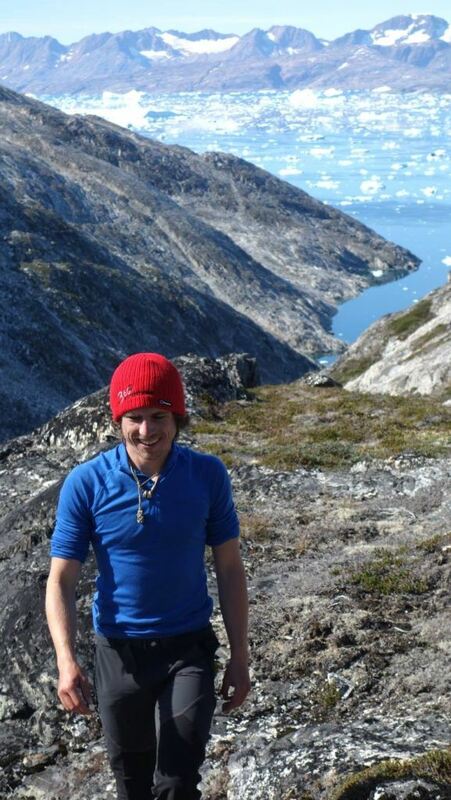 We learned a lot Greenland: glaciers, plants geography, geology, animals that are around. 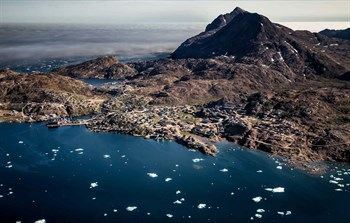 One of the sad things that I discovered about Greenland is the extent to which there native population has been separated form it’s roots, and the negative implications of that. I was also surprised by how little wildlife there is. What you see, the land and such, is impressive. I was surprised that there weren’t more migratory birds, but that must be how severe the landscape actually is, to the point where very few animals actually turn up there. 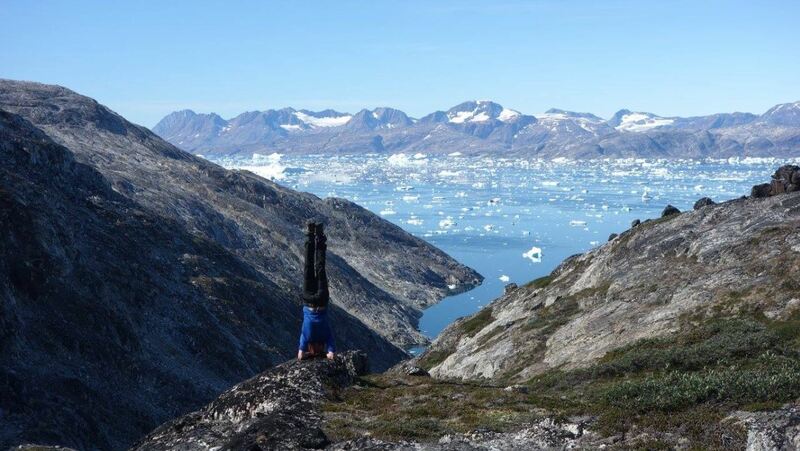 I would love to do a long hike on the glacier, the Greenland Ice Cap. Camping up there, hiking back down, getting back in the kayak. The ice is so important in Greenland, and so understanding a bit whats going on there I feel is important: this is 8% of the world’s water, after all. 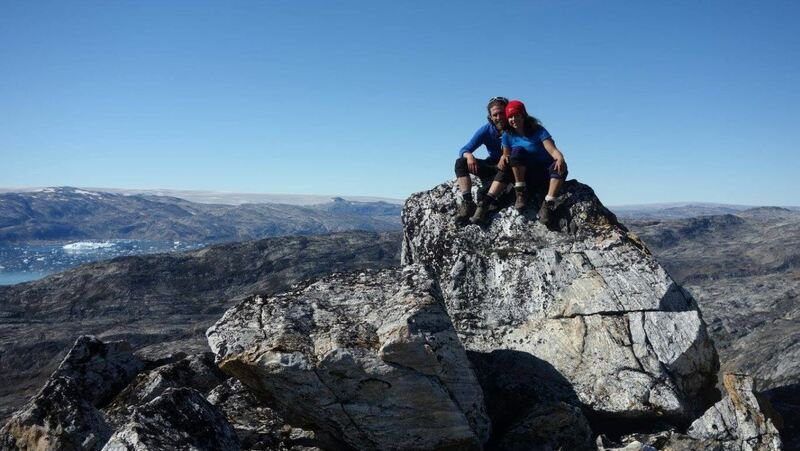 What tips do you have for people that want to visit Greenland? 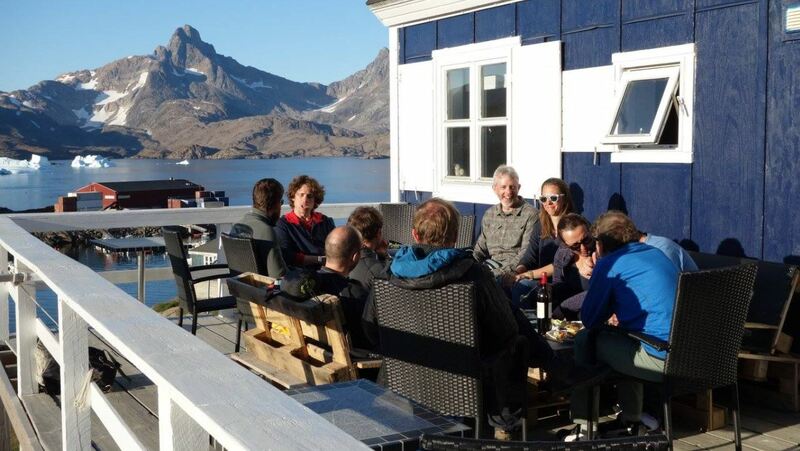 It depends what they’re doing.I would in general advise them to get engages with the social aspects of Greenland. I would advise them to be mindful and respectful of the natural environment. It’s landscape is extremely sensitive to disturbances, and you should always look to Leave No Trace. Where you are treading, where you put your rubbish, what rubbish you can’t leave, what rubbish you can (none) and other details. What adventure are you off to next? Simon’s honeymoon adventure left him memories and experiences to last a lifetime. 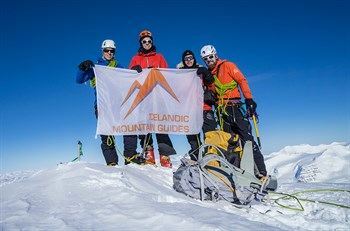 Have you been to Greenland with us and would like to be featured as a “Pioneer of the Month?” Feel free to email us at joseph@mountainguides.is or call +354-522-4933. 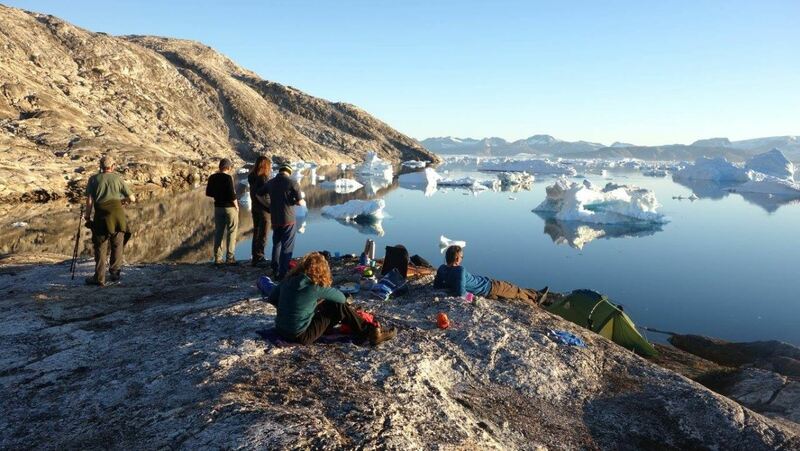 Start planning your unforgettable winter adventure in Greenland by browsing our tours here.